Robert Rose. Near Fine. 2005. First Edition. Softcover. 0778801152 . Large softcover in excellent condition - clean and unmarked. Cover has light wear at corners. ; Large 8vo 9" - 10" tall; 224 pages; Straightforward solutions to difficult problems. Most teenagers have a friend who has been affected by an eating disorder. Such disorders affect almost 20% of teenage girls in North America at some point in their development. Magazines and movies constantly stress a thin body image as the defining force for popularity. The message teenagers get is that thin is the only route to popularity and happiness. Through the Eating Disorder Program, Drs. Katzman and Pinhas, at The Hospital for Sick Children, have developed a program that helps young people and their parents deal with the problems of eating disorders such as anorexia nervosa and bulimia. 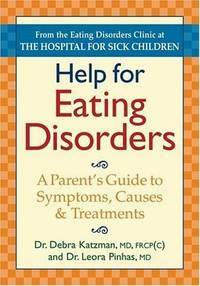 First, the book shows parents how to identify an eating disorder and when to become concerned about it. Second, there is vital information for parents on how to become informed users of the health care system and how to collaborate in their child's treatment. Third, practical support for parents, family members and coaches enables them to participate in the recovery of a child or adolescent with an eating disorder. Worksheets, diaries and first-person case studies assists parents and caregivers to help youth overcome an eating disorder. (650) . Drink Your Greens! Reduce your risk of cancer, heart disease, fatigue, and more! By Mark Stengler, N. D.
IMPAKT Communications, Inc.. Near Fine. 1998. First Edition. Softcover. 1890694053 . Excellent condition, clean, no markings. Stapled pamphlet, 32 pages. 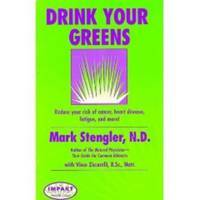 Dr. Stengler provides an in-depth overview of how greens products can help you achieve optimum health. (55os) ; 8vo 8" - 9" tall; 32 pages . Four Winds Press. Very Good+ in Very Good dust jacket. 1994. First Edition. Hardcover. 0027427447 . Clean, tight condition. Ex-library with usual type markings, laminated cover. Pages are clean , jacket has some scuffing & light wear. 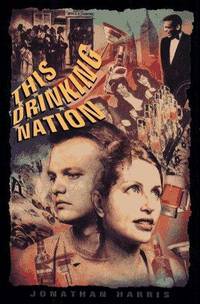 "Profiles the fascinating people and movements that have punctuated America's turbulent history of drinking and temperence; explores alcohol's relationship to modern media, ethics, race and family life, and targets young people as the new generation of drinkers - urging them to confront the roles of drinking as a social crutch and as a catalyst of addiction and tragedy. " [413-notosl]; 8vo .